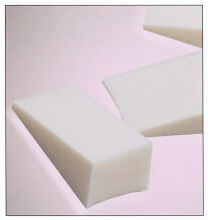 Compressed until water is applied. 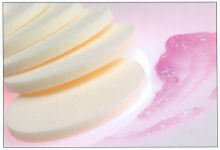 Ideal for deep facial cleansers or when used with masks, scrubs or mud. 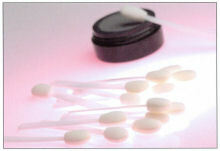 Used for product sampling or rationing products. 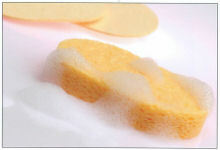 A sanitary method for using multiple products and removal of creams from jars. Use wet or dry. Essential for water-based foundations. Provides smooth and even coverage. Great for makeovers. Perfect to use with monochromatic colors. Glides on eye shadow evenly. 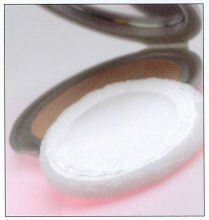 Soft sponge applicator allows eye shadow to glide on smoothly and evenly. Create various looks with this two-sided wand. Use with your favorite color trio. 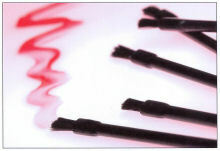 The soft bristles allow smooth and even applications. These disposable lip brushes apply lipstick and lip gloss to perfection. 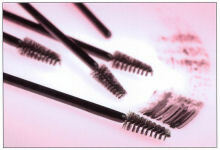 A high concentration of bristles for curling and for coating lashes. Disposable and sanitary. 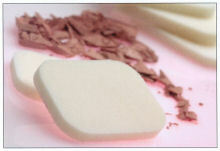 This popular precision wedge applies blush and foundations. The angled straight edge tip is also great for eye shadows. 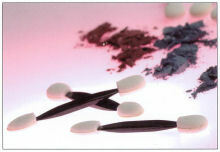 Blends and smooths powder producing a flawless finish. These easy to hold puffs are a must have for any make-up kit. 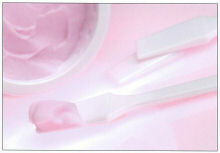 Blends creams and powders. Ideal shape for today's compacts.